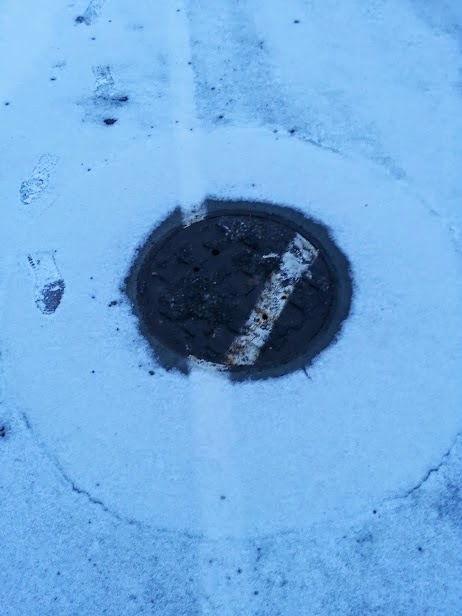 Just let me ask you... if you took off a manhole cover that had a classy white stripe painted on it, wouldn't you put it back the same way you took it off? I mean, that's just good housekeeping. Shirley: Hey, where are the cheese puffs? I thought this was a grocery store, but there’s hardly anything on the shelves. Stores always have groceries. What are we supposed to eat if they don't? Randy: I wondered pretty much the same thing, and that’s what motivated me to write “The Gathering.” Your average person doesn’t realize that grocery stores only carry about a 48 hour supply of food. If there is any sort of hiccup in the system, we could all find ourselves staring at empty shelves and asking where the cheese puffs went. Shirley: Well, if there are no cheese puffs, we'll have to adapt to survive. Hey, look, there are some bags of jalapeno potato chips left. Do you like jalapeno chips? Hurry and decide! There are some other people coming down the aisle the other way, and they look armed and dangerous! Randy: That’s how it works. All it takes is a shortage of a few items to start a run on the stores. Someone takes that last bag of delectable cheese puffs and then people overreact, loading up their cart with items they think might be running short. Shirley: Well, if you won't overreact, then I will! All right! Way to use your Ninja moves to grab the last two bags! You’ve got some great survival skills. I suppose I could choke some of those down if we have ice cream on the side. Let’s go to the freezer section. Hey, what’s with that line of people? What are they lined up for? The meat counter? Who’s that guy in uniform? The hot dog police? Randy: In The Gathering, the guy in uniform is Robert Williams. Robert is the main character in the story and has just recently returned from his mission. When he can’t find the same kind of work that he did before his mission, he takes a job as a security guard, and that opens his eyes to what is happening in the community around him. Shirley: Rationing hot dogs. Really. One of my sons ate a whole package of hot dogs by himself after school a couple of times. Maybe he’ll have to chow down on jalapeño chips now. Are they rationing ketchup and mustard, too, I wonder? Randy: Maybe you can live without cheese puffs, ketchup, and mustard, but what happens when they start rationing a food item that’s important to your family? Then it becomes personal. It might even make you worry that in the near-future there might not be any food at all. Shirley: Like this freezer section! Totally empty except for frozen okra! Is that even edible? It sounds like a Pokemon character. I know that Houston was attacked, but I didn't know that most of our groceries came from Houston. Do you have your food storage saved up? Randy: The supply and delivery system in the United States is pretty stable. A terrorist attack in Houston is probably not going to cause a run on the grocery stores across the country. But you combine that with a heavy winter storm that hits the mid-west and maybe even a trucking strike and then you have situation that promotes unreasoning panic. Having even a month’s supply of food storage could prevent a family from suffering in that situation. Shirley: All I have is a few cans of oatmeal, tuna, sprouting beans, and chocolate Ovaltine. Grain, vegetables, protein, and chocolate. I’m all set. Randy: Yummy. Oatmeal for breakfast, a small plate of bean sprouts for lunch, tuna for dinner, and a glass of chocolaty Ovaltine to finish it off. What more could a person hope for in their diet? The average American is lucky to have enough food in the kitchen to last them the weekend. Having even a partial food supply at home can lighten the impact of a disaster. If you have canned meats at home you might be able to trade your ration of hamburger, at the grocery store, for something that you need. Shirley: Okay, I might trade hamburger, but no one's getting my chocolate. I’ve heard that Camp Valiant up in the mountains has food. Maybe we could get some ice cream there. I hope it's not the freeze-dried kind. It's sweet, but it lacks something... I don't know... something ice-creamy. Randy: Eventually. I can’t imagine any self-sufficient and “civilized” community not having ice cream. Shirley: You have a lot of answers. How did you even think of writing a story about missionaries with an early honorable release, grocery stores running empty, robbers stealing food from cars, mobs, anarchy, political intrigue, bomb threats, a self-sufficient mountain camp, prejudice, and redemption? Randy: I happened to be reading some of the prophecies about the Second Coming and felt compelled to write a story about it. I wanted people to realize that even though the situation will be difficult for all of us, that there is still hope. Those who follow the counsel of the Prophet will have less to fear from the upcoming events. I thought that by writing a fictional account of the apocalypse, my readers might gain strength from it during their own trials. Shirley: Sounds like a good line of thinking, but thinking about food shortages makes me hungry. Let’s go through the checkout line so we can eat our chips. Then you can tell me if you’re planning on writing more futuristic survival stories. Randy: Absolutely. The Gathering is the first of five books that I have planned about the upcoming apocalypse. And since I mostly write speculative fiction and love stories about the end of the world, you can expect to see plenty more of the same thereafter. Randy: Cedar Fort is publishing it. They have it available at their website as well as in Deseret Books and Costco stores. You can also get it on Amazon.com. If you live in the greater Phoenix/Mesa area you are welcome to see me at one of my book signings. 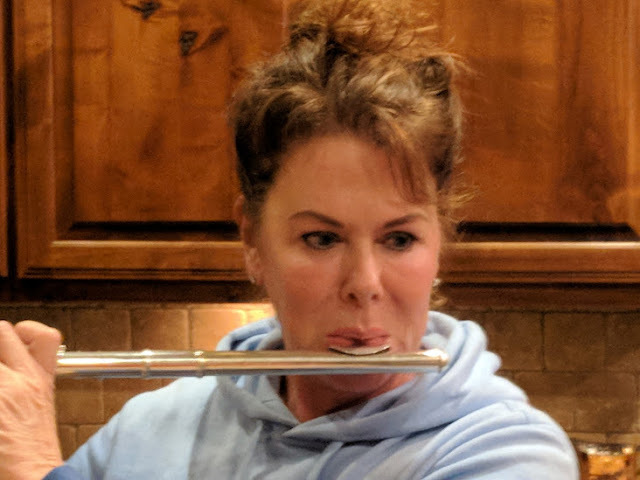 Hop on over to my website for a complete listing. Shirley: Should we be worried about the things your book implies are coming at us? Randy: That depends. If you’re following the counsel of the Prophet then probably not. The trials and events that await us are intended to humble the people and turn their hearts towards God. There will be less impact on those who are already at that point. Shirley: Okay, for now I’ll just worry about having jalapeno breath. Oh, and getting a copy of your next book before it’s blasted off the shelves into avid readers’ hands! Buffalo Gal introduces the ANTELOPE ISLAND SERENGETI video! If you ever get out there to the island, you will see lots more buffalo than just one, but you don't get close enough to touch them on the head. Well, maybe you do, but then you may not live to tell the tale. CLICK THE LINK BELOW to see the one and only ANTELOPE ISLAND SERENGETI video! I'm one of those authors who like to listen to music while I write, and one of my sources is Pandora online radio. Well, just try to imagine my surprise when I logged in one day to find the traditional Barry Manilow face smiling up at me from the left side of my screen, while a broader, bearded Barry grinned at me from the right side. What? Had he really grown a beard? Even though it looked like bearded Barry was an ad, I actually looked up "Barry Manilow, 2013" to see if he had put on weight and grown facial hair. To my surprise, he's as thin, or maybe even thinner, than he was when he was a young singer just starting out! Now you look at the pictures. Isn't there a resemblance? Have you ever been mistaken for someone you're not? 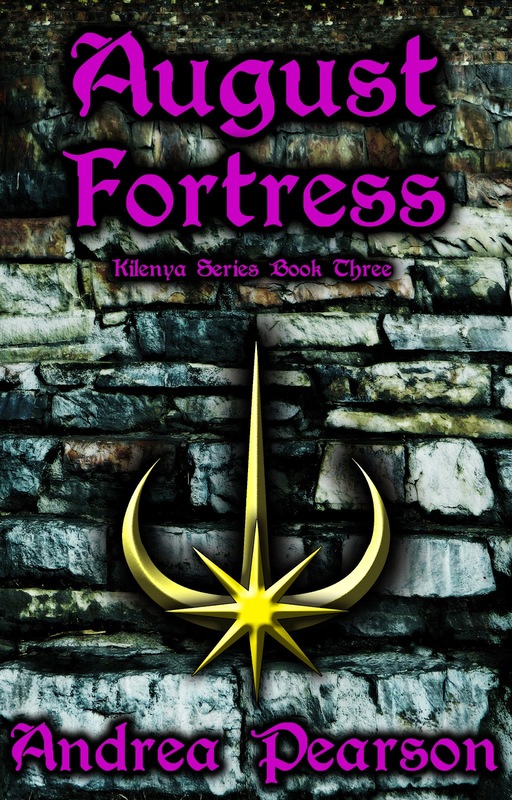 ANDREA PEARSON - The Key of Kilenya! 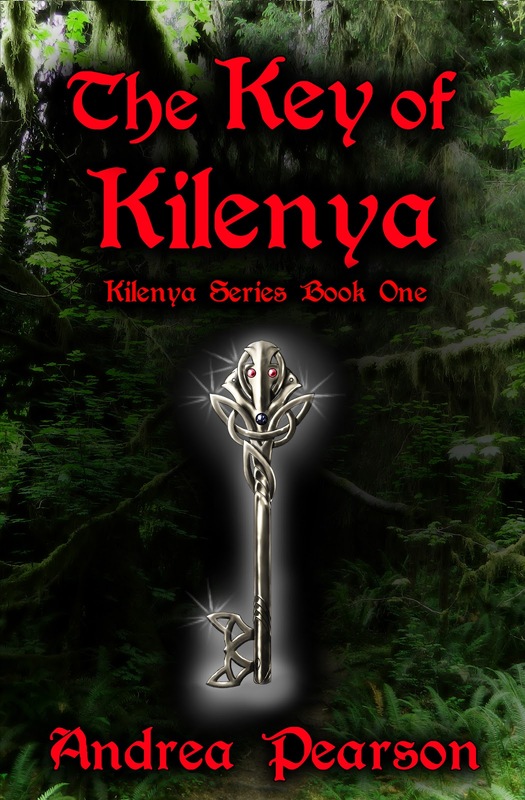 The Key of Kilenya, first book in the Kilenya Series (with 50 five-star reviews on Amazon), is available everywhere for free (Kindle, Nook, Smashwords), but only until the 18th of January. It's originally $3.99, and is geared to readers 10 and older. If it were a movie, it would be rated PG. No swearing or vulgarity, and very minimal violence. We all have a choice—but we can’t choose the consequences. 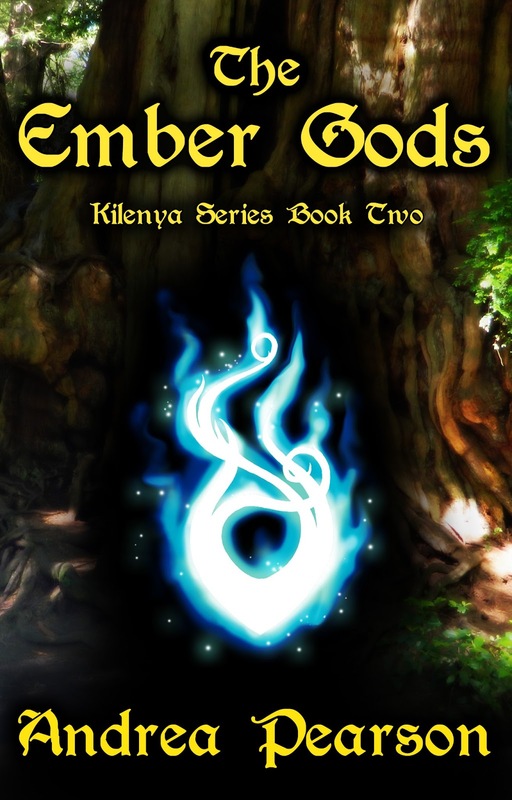 Jacob Clark is chased down a path that takes him to another world—a world where he is a wanted young man. The Lorkon want to control him and the special powers he possesses. The people of the new world want him to save them from the destruction of the Lorkon. All Jacob wants is to go home, but even that choice has consequences. He doesn’t know what to do and if he waits too long, the new world and the one he came from will be destroyed. As Jacob looks for people he can trust, he finds himself in the center of the fight for freedom—both for himself and the people he’s come to know. Jacob has no idea where the path he chooses will take him, but once the choice has been made—bring on the consequences. Jacob Clark’s new abilities are a blessing and a curse. He’s a hero for returning the magical Key of Kilenya to its rightful owners, but at school he's starting to get noticed for something other than his basketball skills. And the attention is freaking him out. Balancing both worlds is tricky enough, but Jacob has tasked himself with saving Aloren who’s trapped in Maivoryl City by the Ember Gods. He doesn't want to wait for the potion that will protect his team from the corrosive influence of the Lorkon, but the desire to prove himself to the high school basketball coach conflicts with his plans to rescue her. Feeling pulled by both sides, Jacob must walk a tightrope of warring worlds with lives on the line. Lives that will be lost if he doesn’t figure out how to complete his quest and balance his abilities. Fast. Since Jacob Clark discovered his abilities, his life has changed for the better—and the worse. The basketball coach won't notice him and high school is much more complicated than before. Jacob finds himself needed more and more in Eklaron where his abilities are saving lives. And then the call comes—he and his friends must rescue the powerful Sheingols from August Fortress where they've been held for fifteen years. The only problem is, Lorkon traps are everywhere and getting past them might be impossible. The closer he gets to his goal, the harder the traps are to overcome. Can he master more of his powers to fight the traps? Or has Jacob finally met his match? 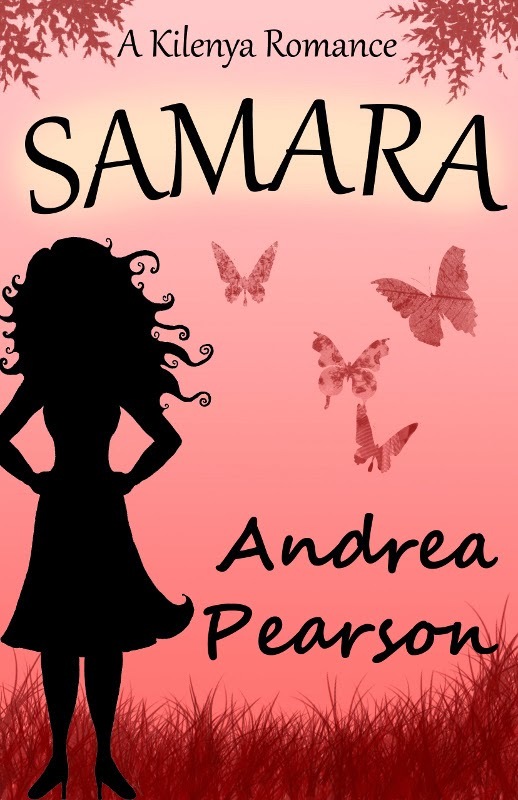 When Samara Oldroyd meets the most amazing guy ever, she's frustrated their conversation is cut short. Her wishes that they'll run into each other again come true when she meets her sister's new boyfriend. It's him! Eeek! Inspired by the film Dan in Real Life, this novella will tickle you pink as Samara tries—in vain—to undo her crush. 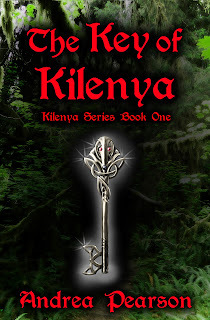 I can't wait for you to delve into the world of Kilenya and discover the magic, monsters, and people there! 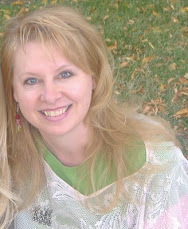 Andrea Pearson, author of the Kilenya Series, Kilenya Romances, and Katon University series, lives with her husband and daughter in a small valley framed with hills. 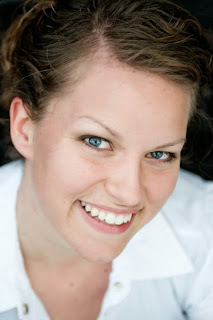 She is Executive Director of the Indie Author Hub group and creator of the writing application, Writer’s Progress Bar. She is an editor for the website Gather.com. Andrea spends as much time with her husband and daughter as possible. Favorite activities include painting, watching movies, collecting and listening to music, and discussing books and authors. I happily substitute teach at Manti High School as often as I can. 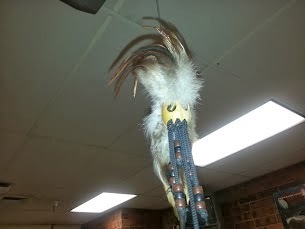 One day, I found this mysterious "thing" hanging from the ceiling in one teacher's classroom. Throughout the day, I asked various classes what it meant. The answers ranged from "It curses people" to "It brings good luck." What do you think? 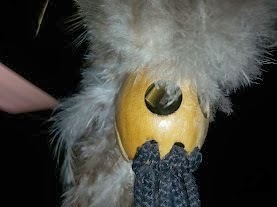 Would you hang it from your rear view mirror? 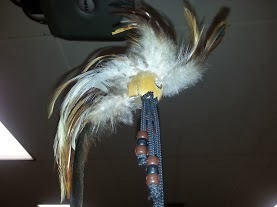 Would you have it dangling over your desk? Does it bring you warm fuzzies, or chill you to your toes?